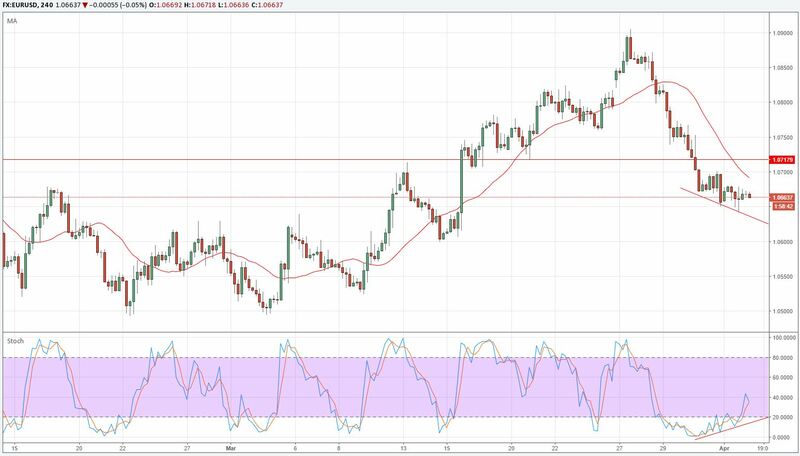 While the outlook remains bearish, there is positive Stochastic divergence on the hourly charts, suggesting the currency pair could have a small bounce before the downtrend continues. Look for the area around 1.0720 as first stronger technical resistance. To the downside, 1.06 is key. A break below that level would signal that a move towards 1.05 could follow quickly. 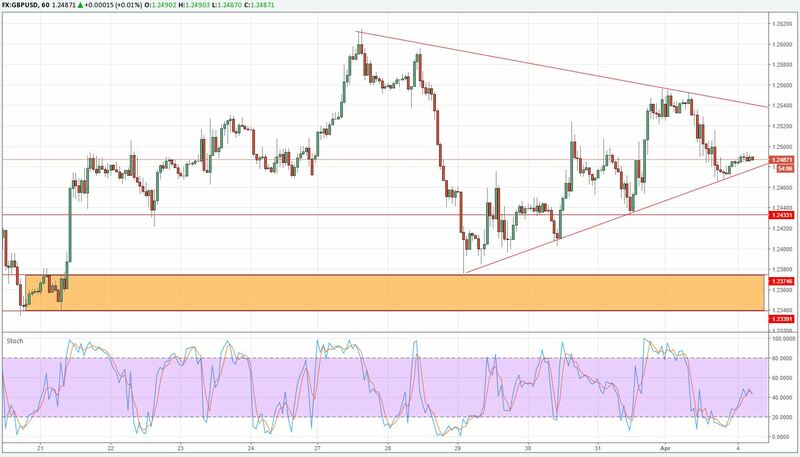 Price is consolidating within a triangle pattern on the hourly chart. After the rejection at 1.2550 resistance yesterday, it has a slight downside bias for the day. Watch the trendline support on the H1 chart. A break below could then pave the way for a test of at least 1.2435 – an important intraday level. 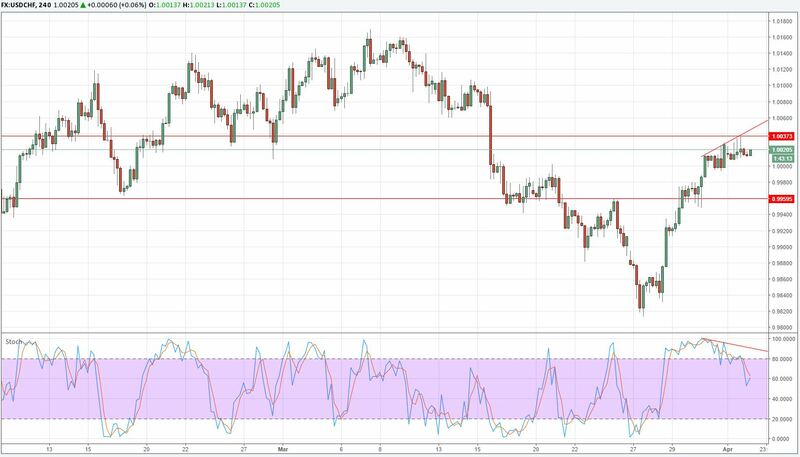 Strong support is then seen in the area between 1.2340-75, which would be a buy opportunity with a favourable risk-reward. The downtrend is intact and yesterday's price action confirmed that once again. The currency pair broke below support at 110.80 and fell to 110.47 in Asia. A test of 110.00 seems likely in the near-term. That level is key. 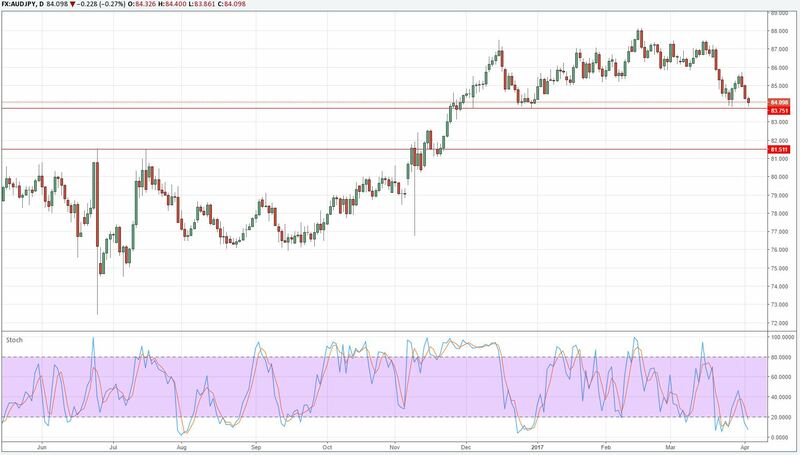 A break below would very likely trigger momentum selling and push USD/JPY towards the next major support level around 108.00. To the topside, watch the 110.85 and 111.13 level for sell opportunities. it looks increasingly likely that the support level will crack in the near-term. This would then signal a move towards 0.75. Intraday, keep an eye on the trendline resistance on the hourly chart and the 0.7640 & 0.7680 resistance levels. 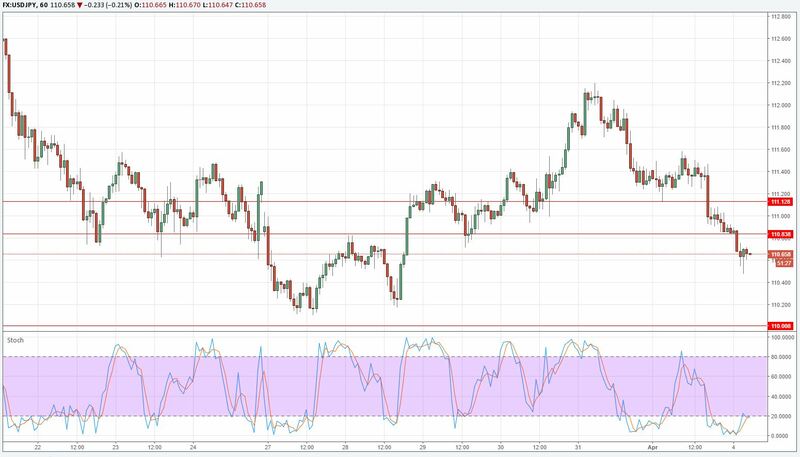 USDCHF is showing negative Stochastic divergence on the hourly charts. A correction seems likely before the uptrend continues. 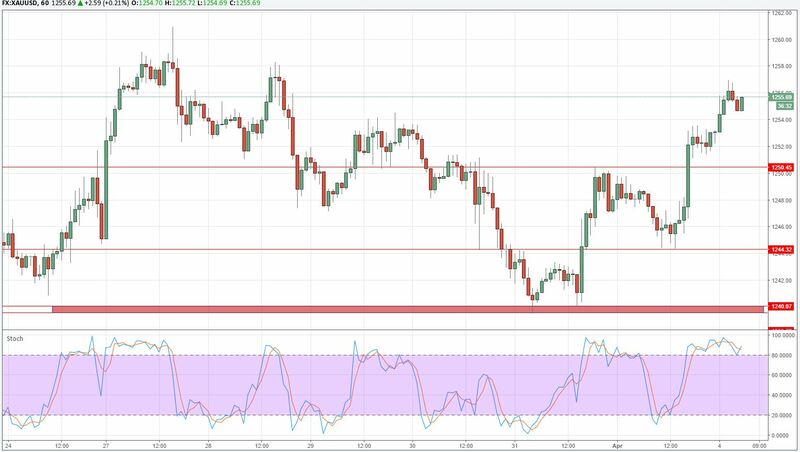 Traders should keep an eye on support at 0.9960 for buying opportunities. To the topside, immediate resistance is seen at 1.0060, followed by stronger resistance at 1.01. Price is approaching a very significant support level at 83.75. A clear break below it would signal that a decline towards 81.50 could follow. 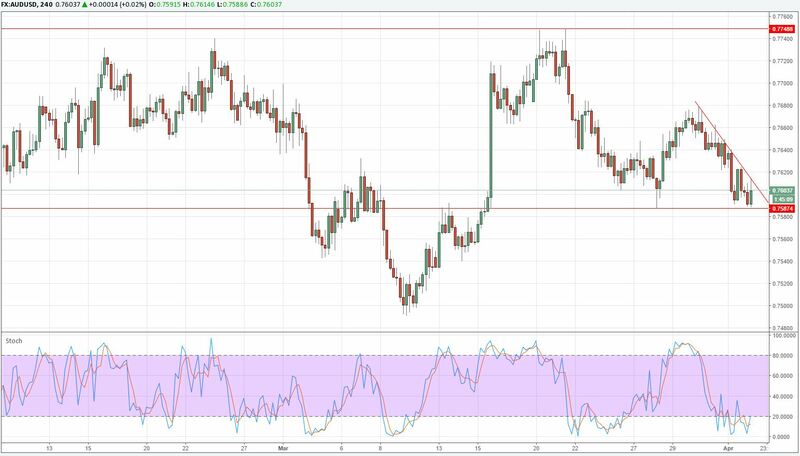 Medium-term, the currency pair remains in an uptrend. A break below 83.75 would change the outlook however and confirm the top at 88. Support at 1240 held once again and Gold was able to recover to 1257 in Asia. Another test of 1263 resistance is very likely. If Gold is able to break and close the trading day above that level, an extension of the rally to at least 1292 is highly likely. Intraday, keep an eye on 1250 and 1244 for support.